Do I Need a Running Break? I took on what I consider to be serious long distance running and training in the early fall of 2008 when I signed up for and started training for my first half marathon. With the exception of the last 6 months of my pregnancy (in 2011-2012) I have been pretty much consistently training for one race or another. There may have been a few “down” moments where I wasn’t heavily logging miles or focusing on a specific plan, but I have regularly been running, biking and swimming for about six years now (ok, mostly running). And just when I hit my peak, just when I decided I should try and train for a BQ, just when my first tri in over a year is on the horizon and just when I felt like I might have figured out even the slightest ability to balance work, life, motherhood, wifehood, and training–I decided, I realized, I’m tired. I’d known it for about a week and it took a tearful meltdown with my husband to admit that I feel like I might be overtraining, or something. I don’t really want to admit its the training. I’m in a new job with a new commute, our son is over a year now and full of delightful but demanding energy, its spring which means lots of social opportunities and it also means its race season. So what do I do as a typical type A athlete? I say yes to everything. 5:30 a.m. runs followed by 9-10 hour work days followed by experimental dinners with the baby, bath time, playtime and bedtime, followed by a little more work, dishes, family and friend emails, cleaning, laundry…rinse and repeat. On the weekends, add in errands, long runs, family dinners, friend dinners, parties and events and voila! A recipe for exhaustion. I’m tired but what do I do? After my exhausted meltdown in which I confessed I might need a break from running and during which my husband consoled me by saying that 1-2 weeks would not hurt my training, I promptly went for a swim. The first in over a year. It was calming, refreshing and gave me the clarity I needed to calm down. And, I slept very well that night which I also needed. Even the thought of taking “off” more than a week of running actually stresses me out. I don’t run just to train. I run for my sanity, for peace, for clarity and perspective, to organize my thoughts and get energized for the day. And yet, I’m so tired that when the 5 a.m. alarm goes off (I like to hit snooze 2-3 times), I just ignore it, skip the run and promptly regret it by the time I’m in the shower. It’s a vicious cycle. And so, I think I do indeed need a running / training break. I have a ten mile race over Memorial Day and I will do myself a favor and taper leading up to it instead of trying to maintain full mileage and cross-training. 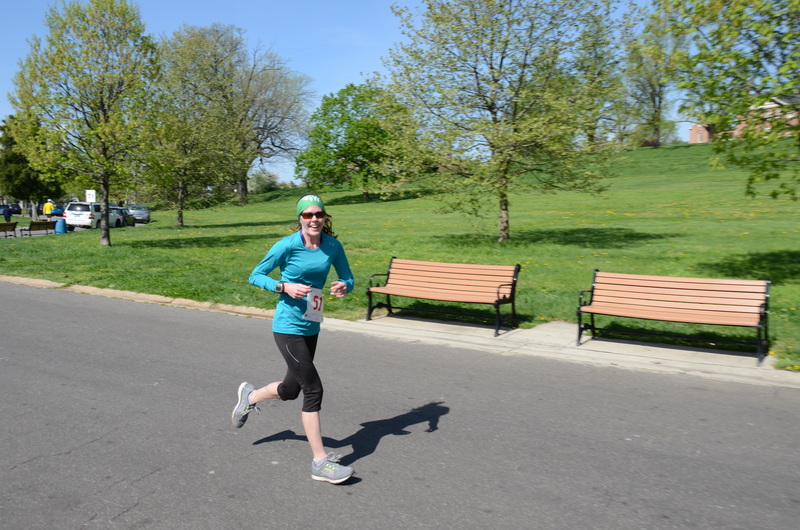 I will be pacing a 2:10 group in the Zooma Annapolis half marathon (for which I’m ready) and then I think I will spend June cross-training for the end of month sprint triathlon. I’ll keep my weekday runs to 3-5 miles, maybe just 3 days a week with a “long” 6-7 miler on the weekends. And I’ll alternate swimming and biking 1-2 times a week. I think if I properly chill out for the rest of May, maintain my planned sprint tri cross-training–which may sound like a lot but none of it is long distance–and then plan to resume my BQ quest in July I should be back to a high energy level with which I can really focus on speed and endurance. I would like to go on record saying that it is not at all optimal to launch into distance training and marathon training in high summer heat, but alas, that is how my cookie is crumbling. But, my carrot in this plan is that I should be refreshed, albeit hot, when the time comes to log some serious miles. And now, I’m off to get a good night’s sleep. How about you? 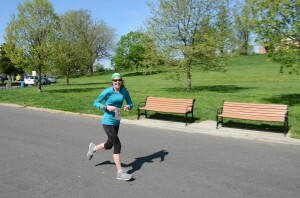 This entry was posted in Healthy Living, Running, Triathlon and tagged balance, marathon training, rest, triathlon training on May 16, 2013 by Natalie. EVERYONE needs to rest ocasionally. I think it is the most underestimated component of complete training, both the kind of rest you get from the reduced mileage week during training to complete non-running between training cycles. Right now, at the end of the Spring Race Season but before it’s time to start on Training for the Fall season, is probably an ideal time to take anywhere from a week or two to a whole month and, to the extent the rest of your life will allow you, just rest. Most importantly, enjoy it. You’ve earned it and you’ll be a better runner (not to mention mother, wife, employee, etc.) for it. Natalie, I just wanted to comment by letting you know that although rest would probably help, I think time management and intensity of workouts might help you, as well. I’ve migrated over from running to triathlons mainly b/c the diverse training and less impact on my body as it ages (I’m not very old, but 40 none-the-less). I also have 2 boys, a 3.5 year old and a 2 year old. 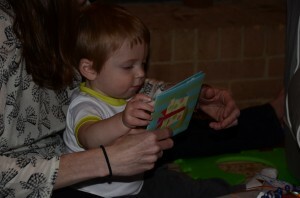 Honestly, I really picked up the training when my 2-year old was born as I felt I needed to be in top shape in order to keep up with them as they grew. I did get in shape, but like many, it started to take over and I did my first 1/2 ironman last summer. The training itself was not really giving me energy, but more wearing me out. I have not focused more on Olympic distance tris which still require a decent amount of training, but doesn’t wear me out like last summer. With that being said, i’m constantly trying to find that “balance” of training for an event that keeps me motivated and not overtraining to where it takes away from my energy to keep up with my boys. I find that if I’m tired, my fuse is usually shorter, and it effects the boys. My wife and I talk about this a lot as she feels the exact same way. I don’t have any advice, but thought that sharing my experiences might help you find that balance. Oh yeah, and my wife told me that I can’t do another half-ironman this summer. Lol. I totally get it as it put a lot of strain on her taking more of the load of parenting. Greg, So sorry for the delayed response! I’m really glad you shared your story and situation. It sounds like you really have figured out a great balance, including with your wife! 🙂 Thank you again for reading and sharing!